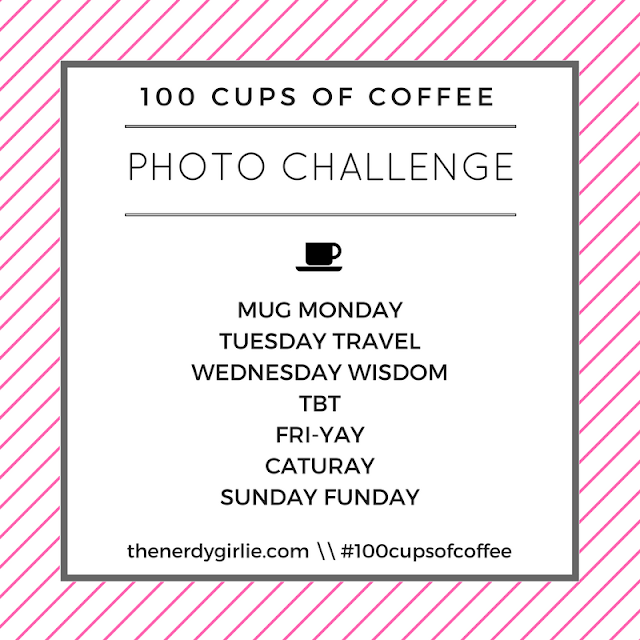 Megan Elvrum: #100cupsofcoffee Update + Photo Challenge! #100cupsofcoffee Update + Photo Challenge! I am sooooooo excited to tell you that I got my first complete edit done on 100 Cups Of Coffee! BIG shout out to Kendall for getting that done for me! She is an amazing local Colorado nerd that I met...you guessed it through this very blog! This site has brought so many amazing and talented people into my life! Now next steps! I'm going to go back through one more time and add more details, maybe do some rearranging and then Kendall will go through and edit again. During the second edit process, fingers crossed I can get my updates done in a month, by March we will be looking for BETA readers! Interested?! Let me know in the comments below! I cannot wait to have a few of you test the waters for me! I plan to add a few more cups to the blog in February as a little teaser! After I hear what you think, feel free to comment on ANY of my cups, I'll work on my proposal for agents and publishing houses. I cannot believe after almost three years, I am getting SO close! NOW for even more fun! I want YOU to share your cups of coffee with me! I've created a photo challenge where we can have a cup of coffee together everyday! Mug Monday - Share your favorite mugs! Perfect for my day off and my HUGE collection! Tuesday Travel - Where are you drinking your coffee today? Do you have a travel mug? Wednesday Wisdom - Let's get deep today! Share something! TBT - Forgot to share a cup? Today is the day! Fri-YAY - Let's celebrate the weekend! Caturday - Coffee and cats my two favorite things! Dogs welcome too! Sunday Funday - My Saturday and the best brunchin' day! 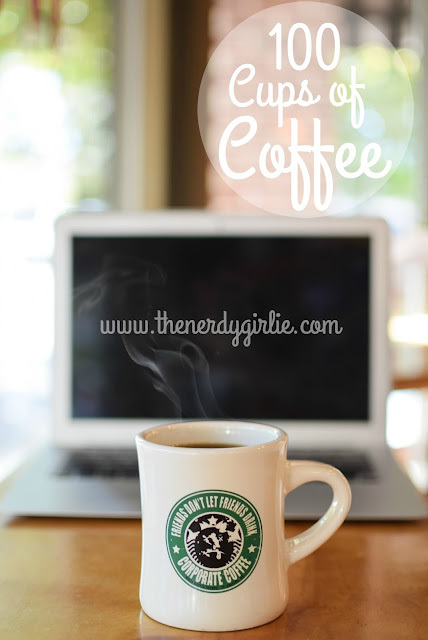 Don't forget to tag me on Instagram: @thenerdygirlie and #100cupsofcoffee. The challenge NOW! Participate everyday or only your favorite day! I cannot wait to see YOUR delicious coffee photos + share even more of mine. I feel like I have been slacking! Thank you nerds for all your amazing support throughout the years. I cannot say enough how much it means to me! I'd love to be a BETA reader! Aw, you're sweet! <3 I'm so happy to have gotten the chance to help you edit your book! I'd definitely love to help you out by being a Beta reader! I would like to be a beta reader!